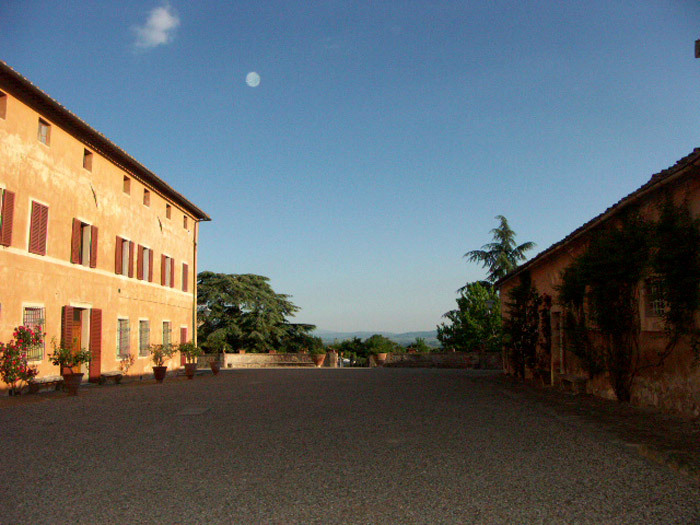 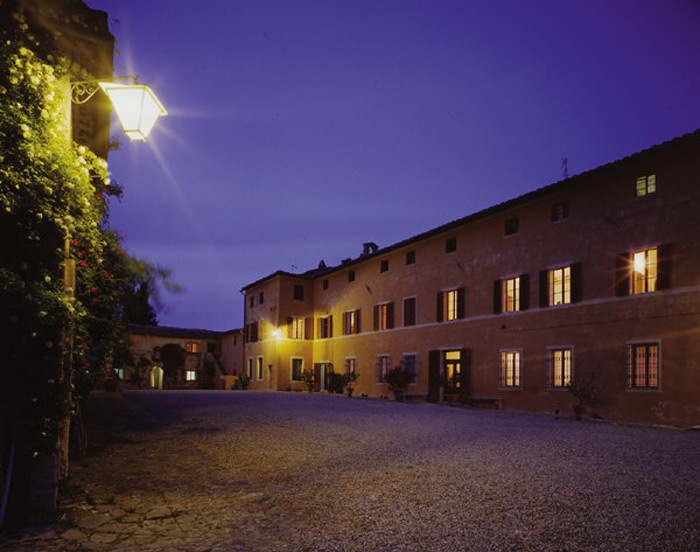 This beautiful estate, one of our bestselling wedding venues in Tuscany , just 15 minutes away from Siena, is made up of a superb 17th century main Villa surrounded by buildings formerly used as farmers' houses or stables, today delightfully renovated. 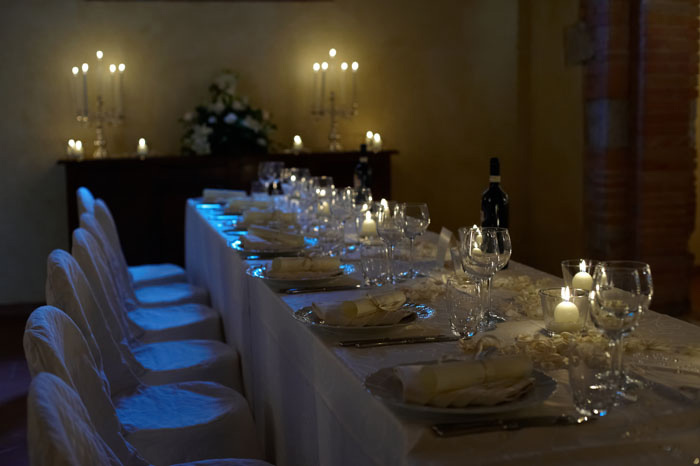 Set amidst vineyards and olive groves, since the farm used to produce both, this wedding Villa in Tuscany is a stunning setting for medium to large wedding groups (40 to 100 wedding guests). 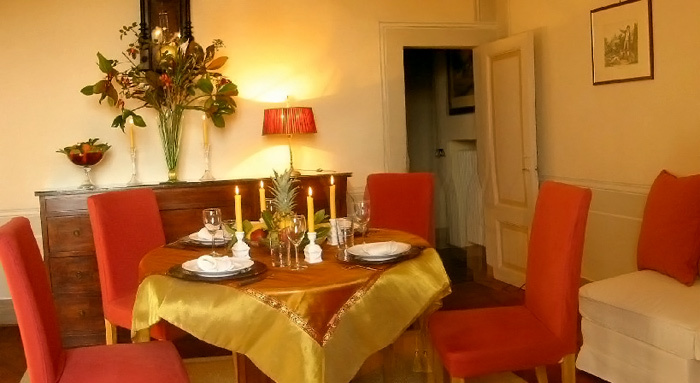 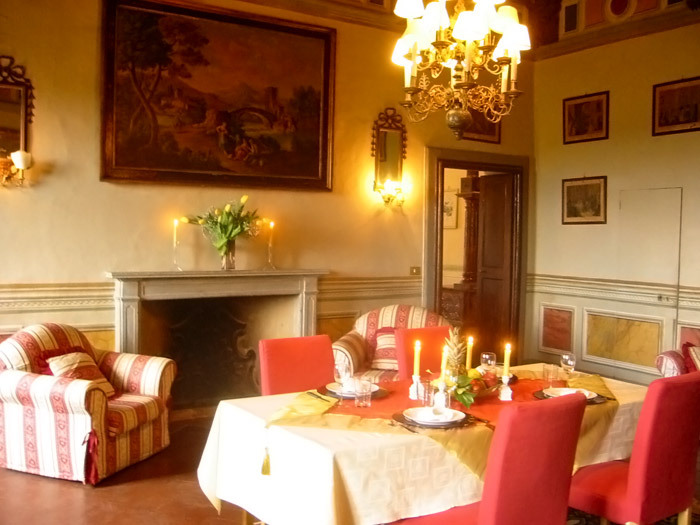 The apartments and cottages belonging to the beautiful Tuscan wedding venue give the possibility to accommodate up to 86 guests in elegantly decorated spacious areas. 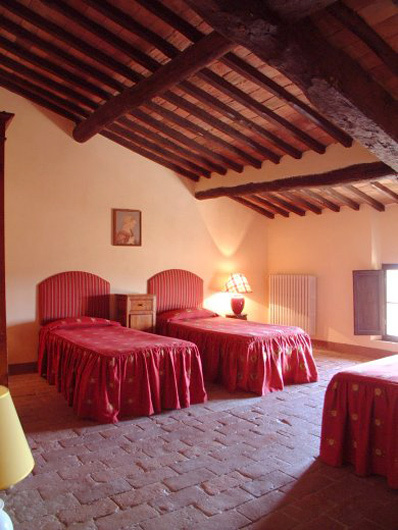 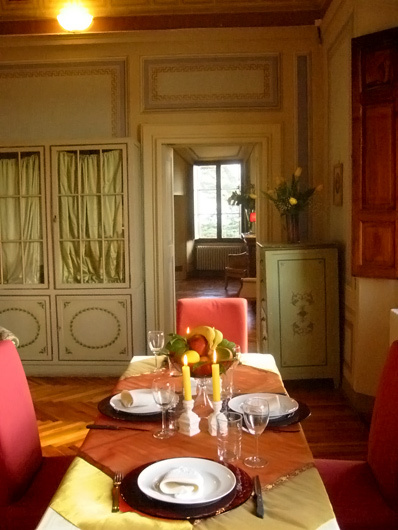 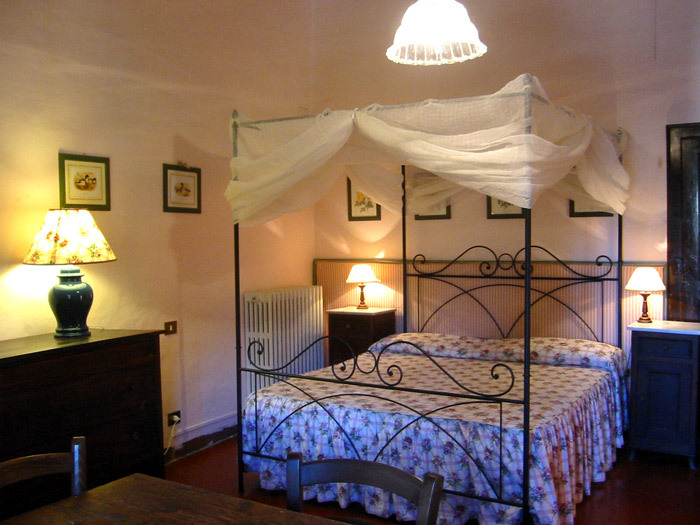 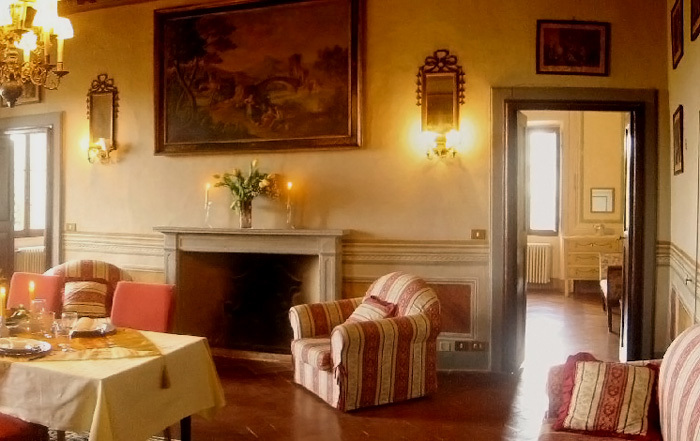 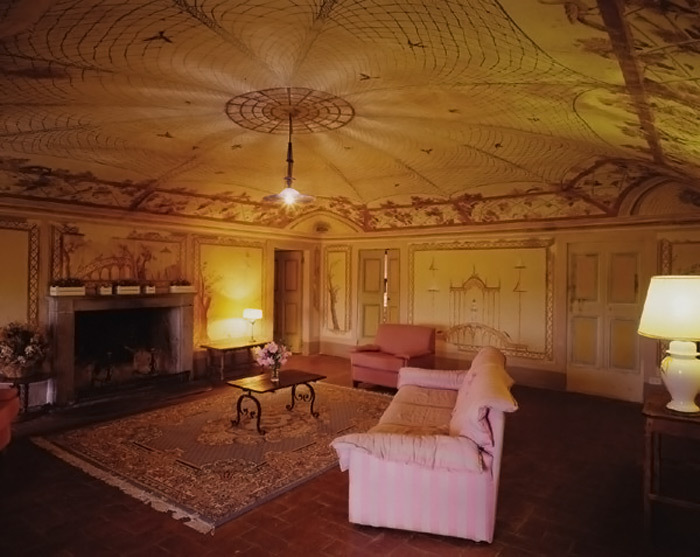 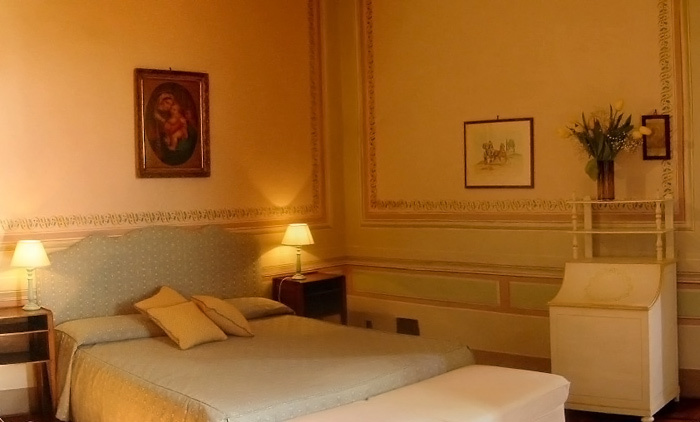 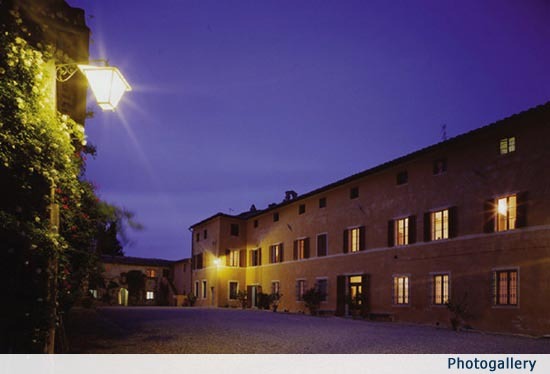 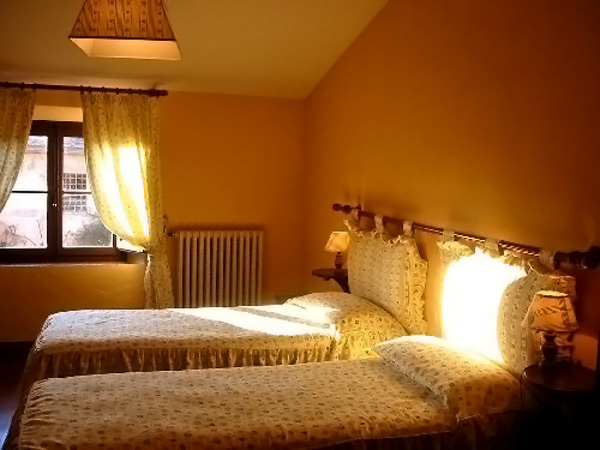 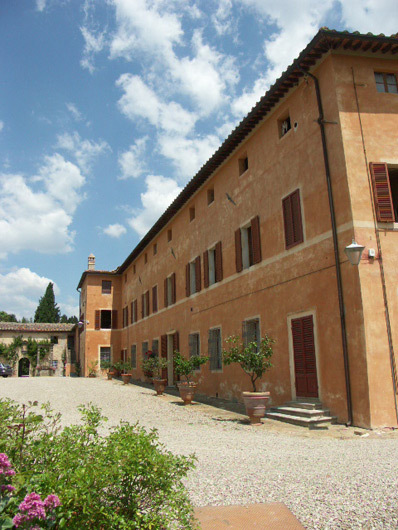 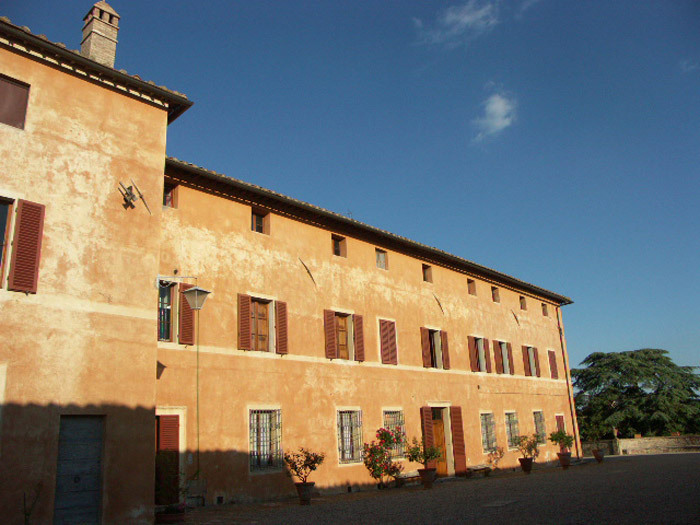 Both the Fattoria and the Villa, with its frescoes painted ceilings, offer some of the most charming accommodation in Chianti at a reasonable price. 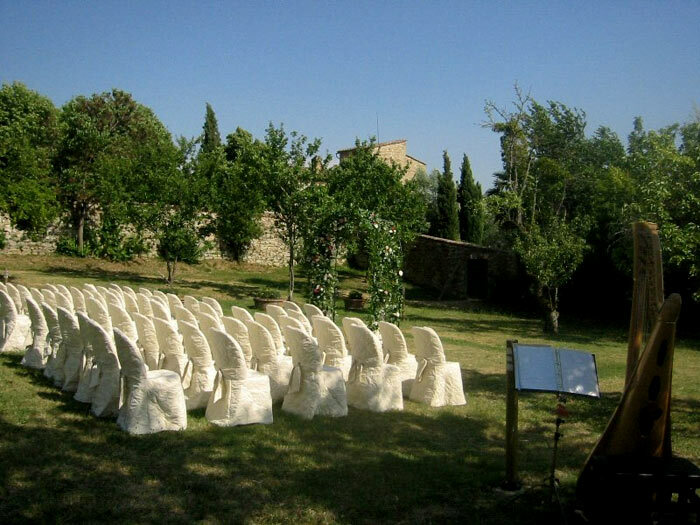 Your destination wedding in Tuscany will be framed by a Giardino all'Italiana (Italian Garden) with Lemon Trees in terracotta vases made precious by the unique view of Siena's skyline. 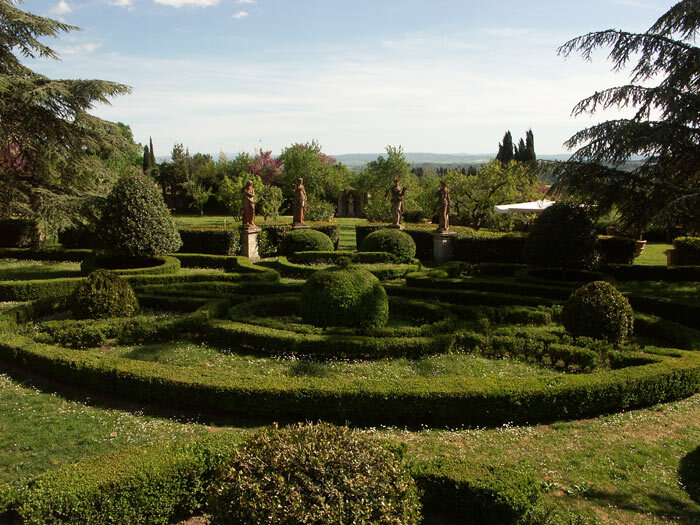 The same superb view that can be enjoyed from the pool, that you can reach walking through the Viale dei Cipressi, a cypresses lined path. 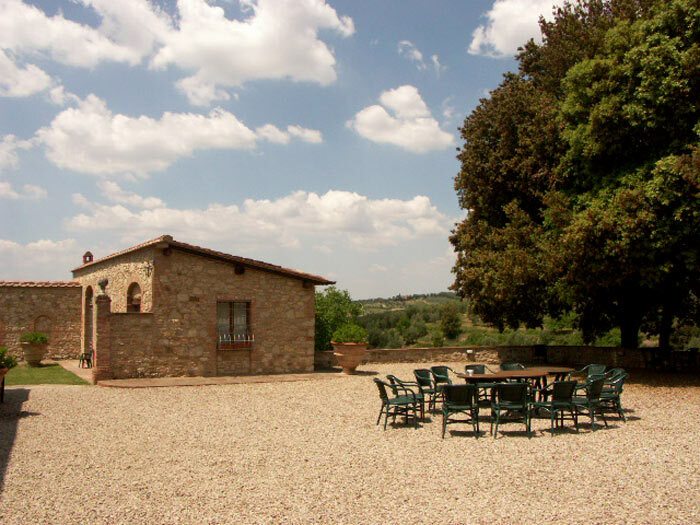 Spectacular views on the Chianti and Siena. 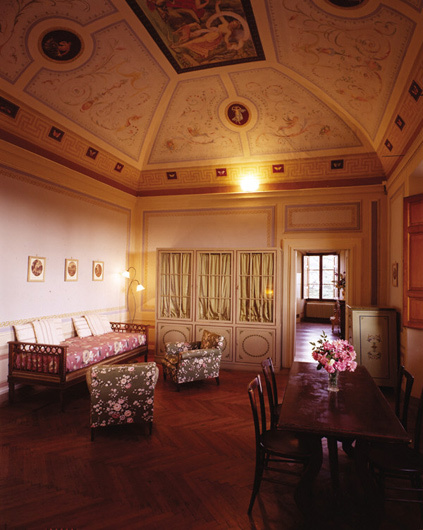 The Wedding reception hall with cap vaults and terracotta floors can hold up to 120 guests for your wedding dinner reception inside. 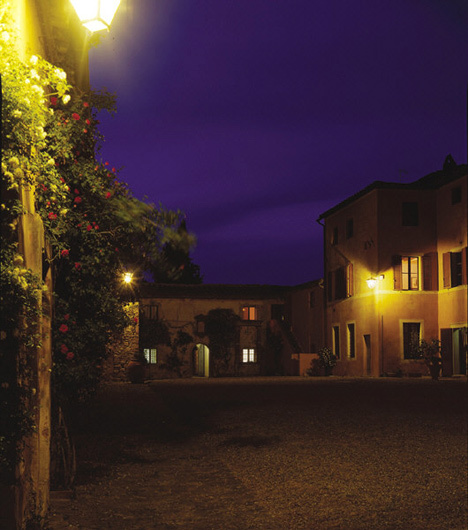 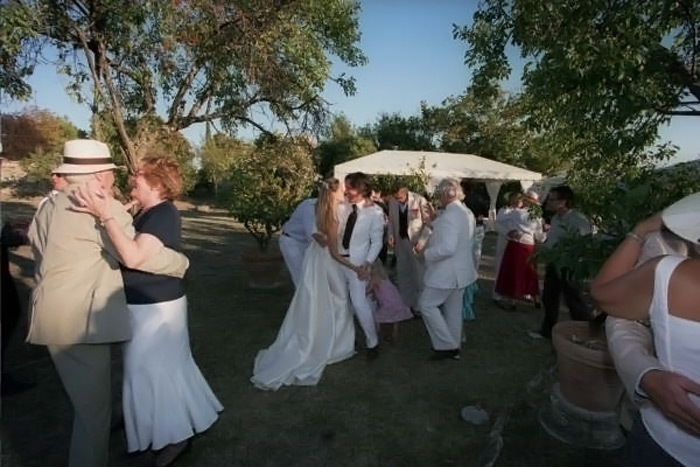 Outside this can take place in the Courtyard of the “Fattoria” (farm) or in front of the main villa, both beautiful wedding dinner solutions. 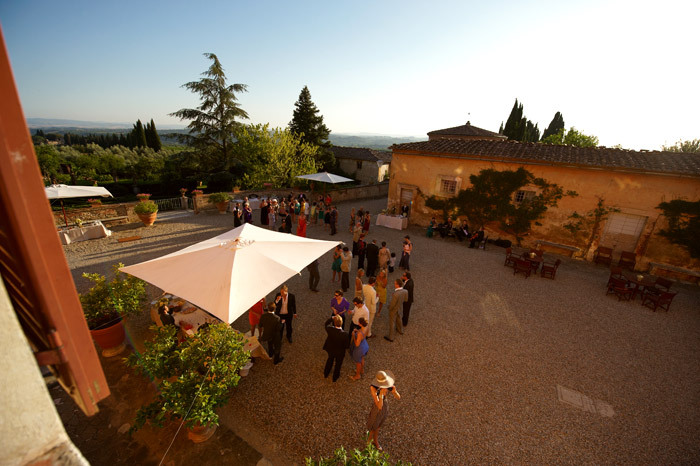 A superb location for your wedding aperitif reception is the Italian Garden or the impressive Courtyard of the Villa with stunning views on the Tuscan countryside. 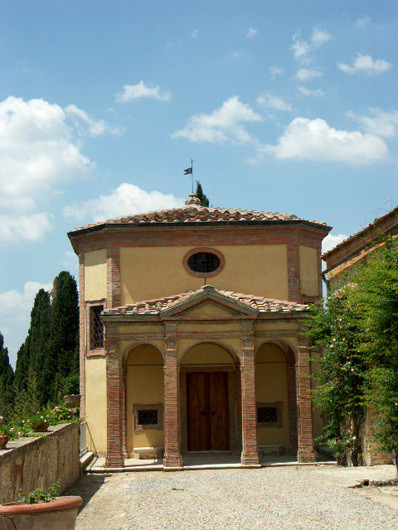 Your Anglican or Protestant Religious ceremony may be celebrated in the 17th century Chapel on the estate. 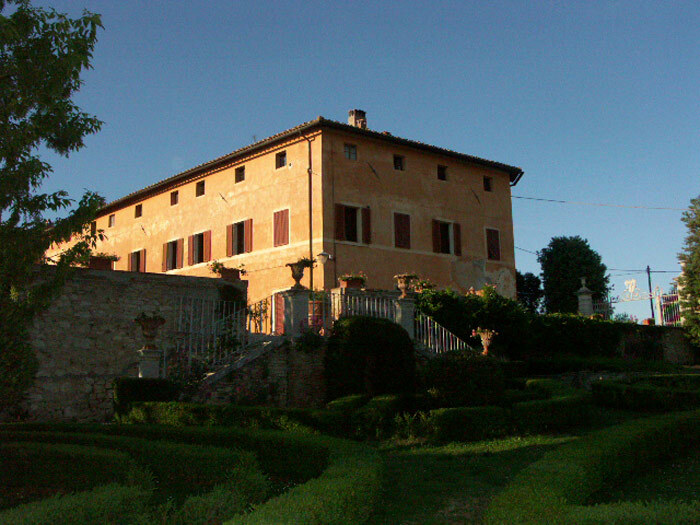 If an outdoor Symbolic wedding ceremony on the estate or Religious wedding is your choice, then we recommend the unique setting of the Italian Garden. 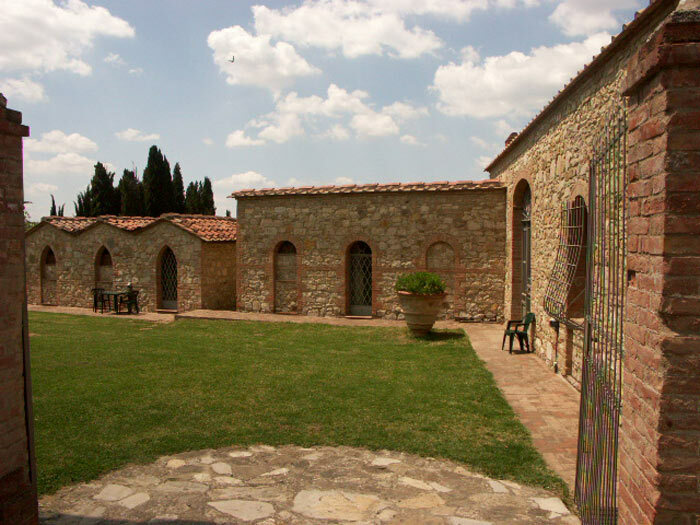 If you wish to have a Catholic wedding, then we recommend the lovely Monastery Church nearby. 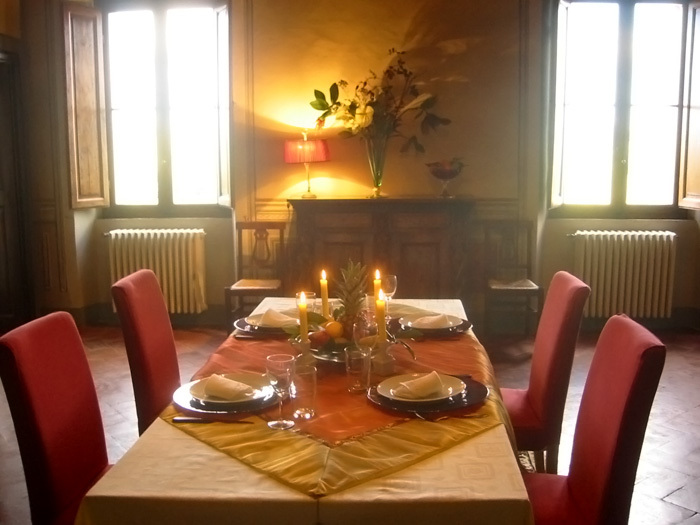 If you are looking for a civil wedding ceremony then the beautiful Siena Town Hall is our first choice for you. 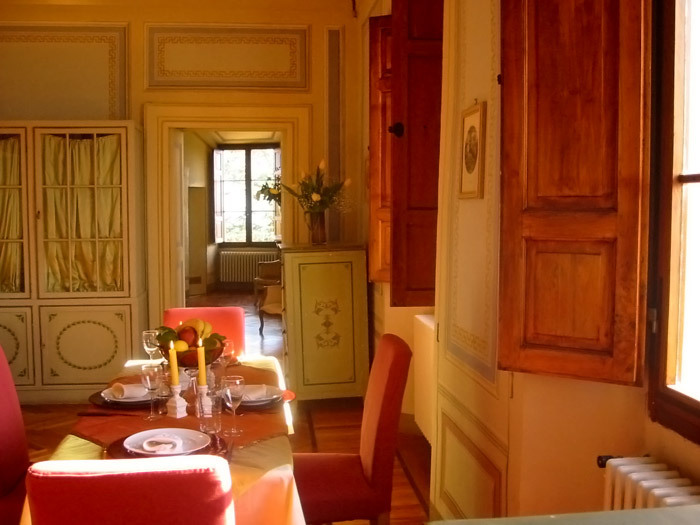 Siena: 15 min. 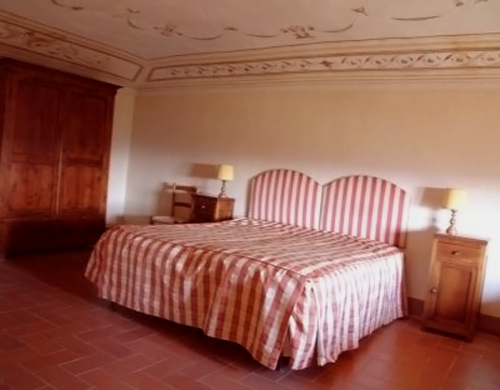 Florence: 1 hour 10 min. 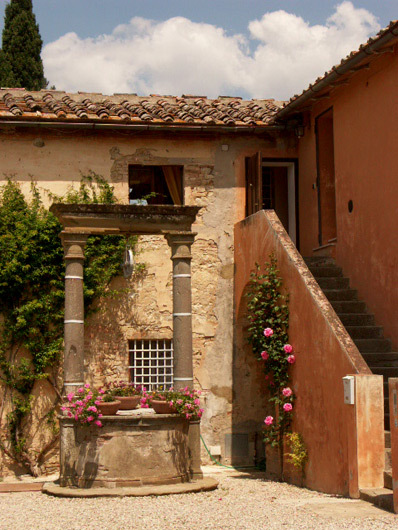 Pisa: 2 hours Rome: 3 hours Cortona: 1 hour Chianti destinations: 15 - 30 min.